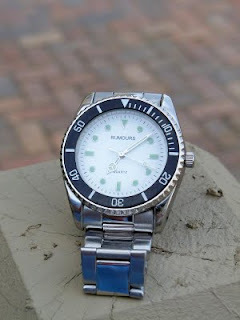 I have another Rumours watch in my watch collection. 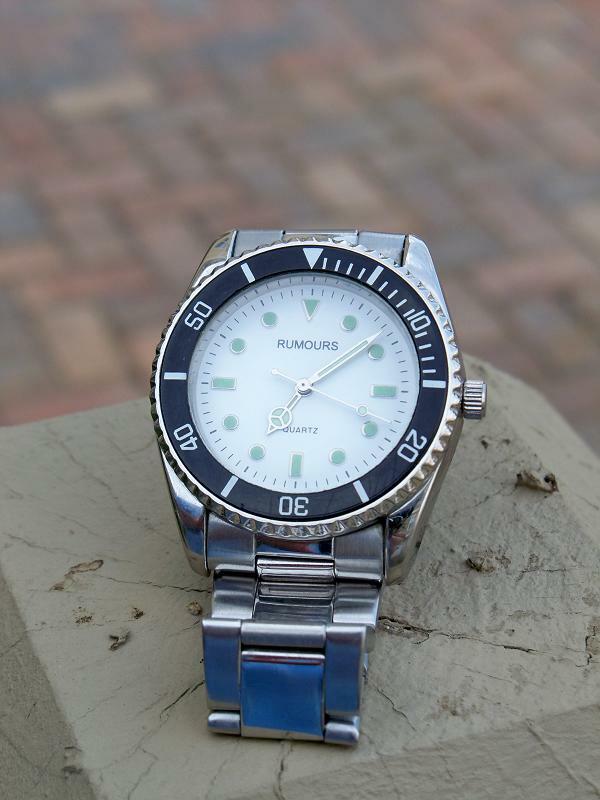 It's a simple, diver-style, casual watch with a rotating bezel. I think the watch is off late 80s or early 90s vintage. It doesn't look like a million dollars and it doesn't look like something from Tag Heuer or Rolex. But, this Rumours watch does look like an honest, affordable, and attractively styled time piece.